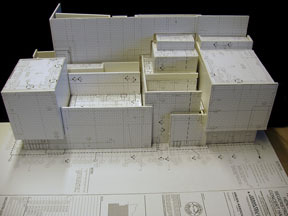 Foam Core Model of the Segerstrom Pacific Design Center 1/8″ = 1′ To identify the acoustical joints separating the three parts of the building. Gruen Associates for Pelli. 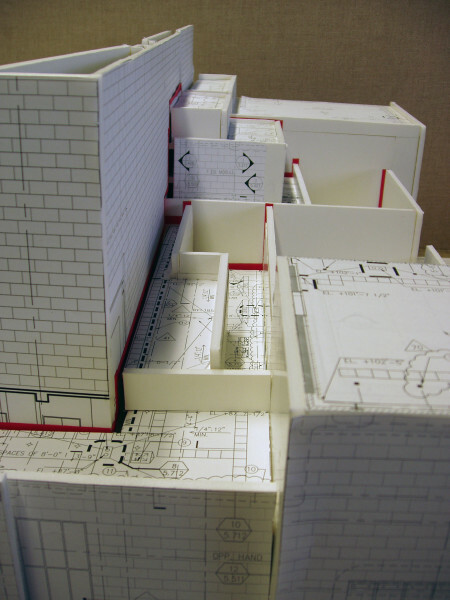 I had to thoroughly understand the drawings, plans, sections, elevations, to make the model.